Twinning in elephants is quite rare and calves often do not survive. 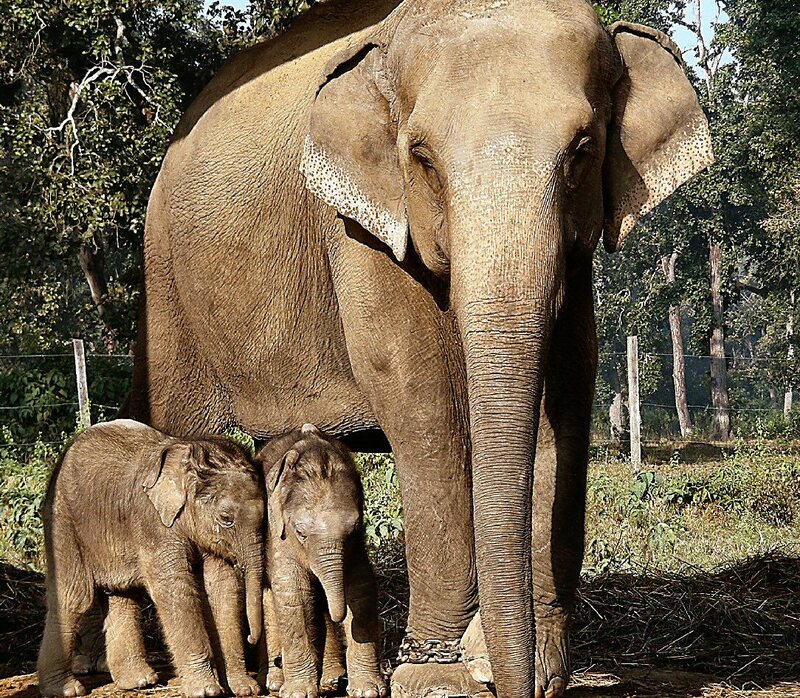 Not so with these two twins who were born at Nepal’s Elephant Breeding Center in 2008 and continue to thrive. 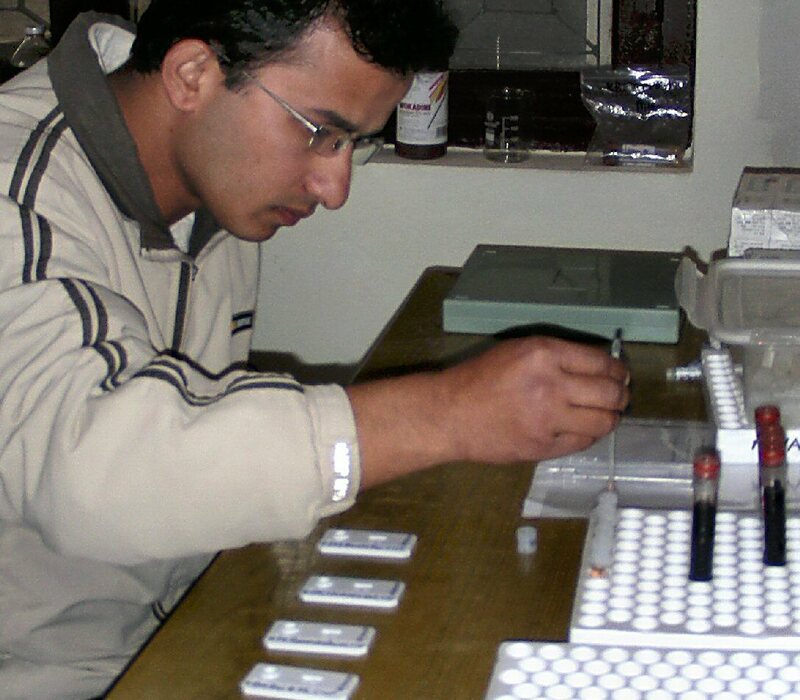 Dr. Jeewan Thapa performing TB tests at the ECI-supported lab near Chitwan National Park. 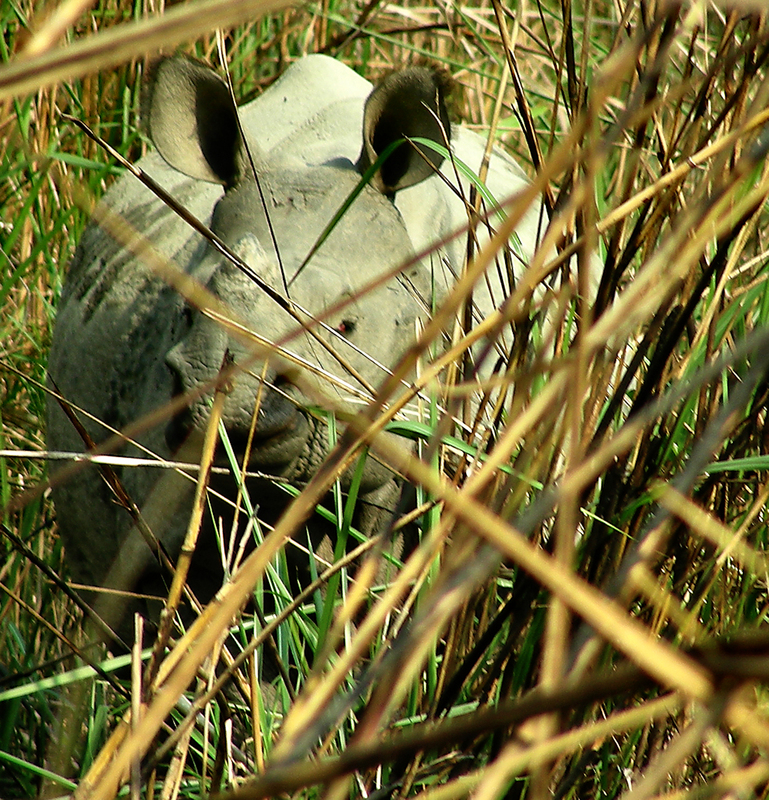 Elephants are critical to supporting the rhino population in Nepal. Elephants patrol Chitwan National Park to prevent poaching and are essential for the annual rhino census. Elephant Care international has been working in Nepal in 2006. Our main focus has been combatting tuberculosis (TB) which has claimed the lives of government elephants critical to patrolling national parks. Working together with the Department of National Parks and Wildlife Conservation (DNPWC) we developed programs to identify and treat infected captive elephants and to mitigate the possibility that TB would be transmitted to wild elephants or rhinos. TB in elephants is a serious, chronic, debilitating disease and is most often caused by M. tuberculosis, the human strain. TB can be transmitted from human to elephants, elephants to elephants, and elephants to humans. 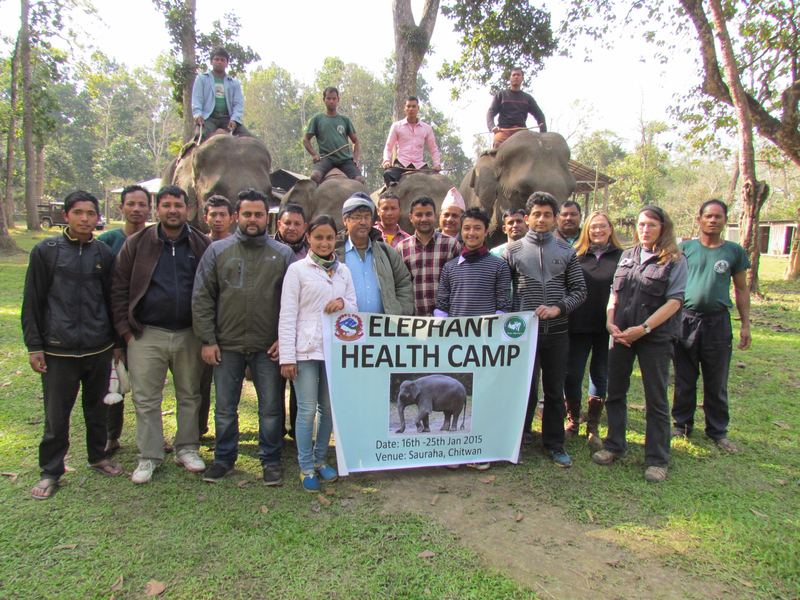 ECI’s Nepal Elephant Healthcare and TB Surveillance Program produced the first Elephant TB Guidelines in Asia and were approved by Nepal’s Ministry of Forestry. ECI works with DNPWC, the Institute of Agriculture and Animal Science, and the National Trust for Nature Conservation (NTNC) in Nepal and numerous colleagues in the U.S. with TB expertise. ECI has an MoU (Memorandum of Agreement) with NTNC and we helped establish and equip a small laboratory at their Biodiversity Center in Sauraha near Chitwan National Park. The TB program has employed four Nepali veterinarians and has afforded them opportunities to pursue master degrees with the knowledge they have gained. Two of our veterinarians were accepted into advanced study programs in Japan. Dr. Sarad Paudel completed his PhD and is now an associate professor at Hokkaido University; Dr. Jeewan Thapa will complete his PhD work there soon. The knowledge we have gained about TB in elephants has been shared at numerous professional meetings. To date over 10 scientific articles and book chapters have been published as a result of this work in Nepal. In addition to TB work, we have conducted several health camps for government and privately-owned elephants. These camps included physical examinations, footwork, parasite examinations, bloodwork and the administration of worming medications. One year when rabies threatened the village, we organized and funded a vaccination campaign and vaccinated 210 local dogs and cats. We gratefully acknowledge the donors who have supported our work in Nepal and also the USFWS Asian Elephant Conservation Fund which awarded ECI three consecutive grants. Our work is on-going in Nepal so please consider a contribution. Donate here!